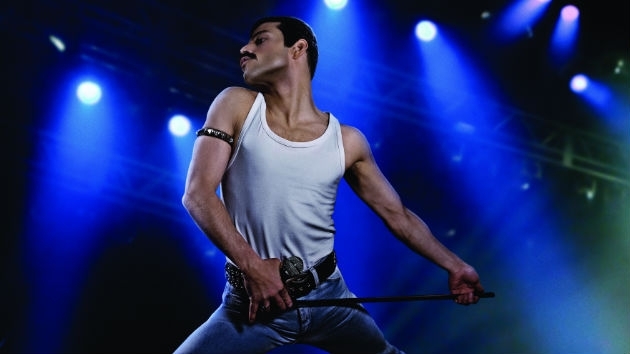 The award-winning film, which opened in China on March 22, portrays the life and career of Queen front man Freddie Mercury, an LGBT icon who died of AIDS-related illnesses at the age of 45. In 2016, Chinese censors banned the portrayal of “abnormal sexual behavior,” including gay and lesbian relationships in TV and online shows. Consequently, some members of the LGBT community have called the release of “Bohemian Rhapsody” in China a victory for their community, particularly considering that only a limited number of Western films are screened in the country each year. But Chinese documentary filmmaker and LGBT activist Fan Popo said it was “dangerous” to view the release of the film, which has has grossed $890 million at the global box office, as a win. In the Chinese release, the small TV screen being watched by the producer inexplicably glitches after a split-second shot of Mercury’s crotch. Shortly afterwards, Mercury’s boyfriend, Paul Prenter, who was his manager from 1977 to 1986, forcefully kisses the singer. But not in the Chinese version of the film.